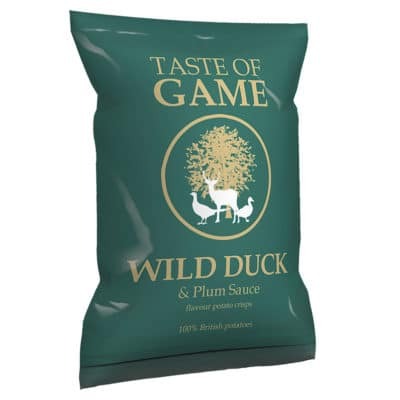 Available in boxes of 24 x 40g bags. 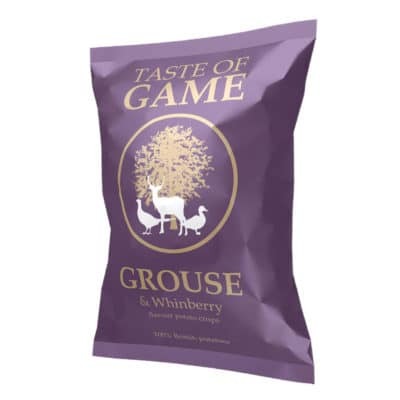 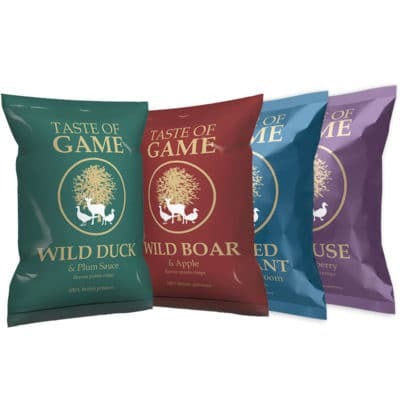 Taste of Game flavour potato crisps are full of natural flavour and come in four delicious flavours. 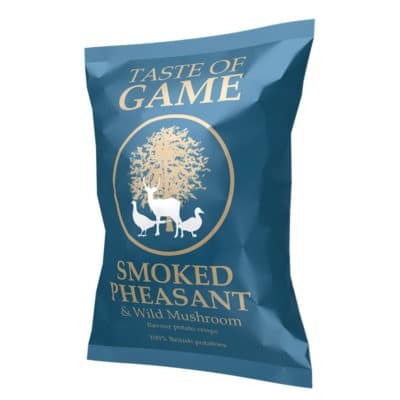 100% British potatoes are sliced with their skins on and batch cooked in Cold Pressed Rapeseed Oil. 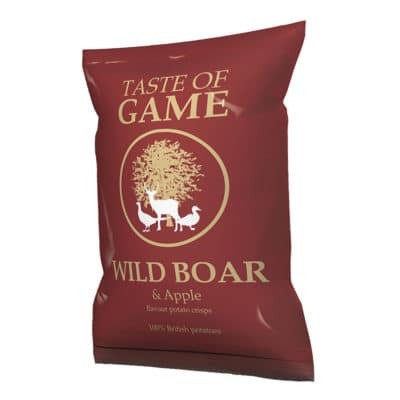 (with 35% less saturated fat than sunflower oil).